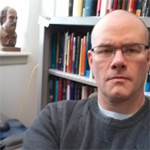 Curtis Perry is Professor of English at the University of Illinois Urbana-Champaign, and a faculty affiliate there in the Department of the Classics, The Program in Medieval Studies, and The Unit for Criticism and Interpretive Theory. In addition to numerous articles, chapters, and edited collections, he is the author of Literature and Favoritism in Early Modern England (Cambridge University Press, 2006) and The Making of Jacobean Culture: James I and the Renegotiation of Elizabethan Literary Practice(Cambridge University Press, 1997). Current projects include a book-length study of Shakespeare and the resources of Senecan drama, and editorial work on Volume 5 (“The Roman Plays”) in a forthcoming revision of The Narrative and Dramatic Sources of Shakespeare. Ayanna Thompson is Professor of English at George Washington University, and she specializes in Renaissance drama and issues of race in/as performance. 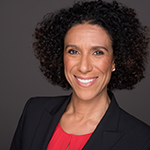 She is the author of Teaching Shakespeare with Purpose: A Student-Centred Approach (2016), Passing Strange: Shakespeare, Race, and Contemporary America (2011), and Performing Race and Torture on the Early Modern Stage (2008). She wrote the new introduction for the revised Arden3 Othello, and is the editor of Weyward Macbeth: Intersections of Race and Performance(2010) and Colorblind Shakespeare: New Perspectives on Race and Performance (2006). Professor Thompson has served as a Trustee of the Shakespeare Association of America and a member of the Board of Directors for the Association of Marshall Scholars.